It was first screened to an appreciative audience of thirty anthropologists at the SMA/EASA Conference in Tarragona. Questions revealed interest in the transformative claims of volunteers and how best they can be communicated in textual terms. 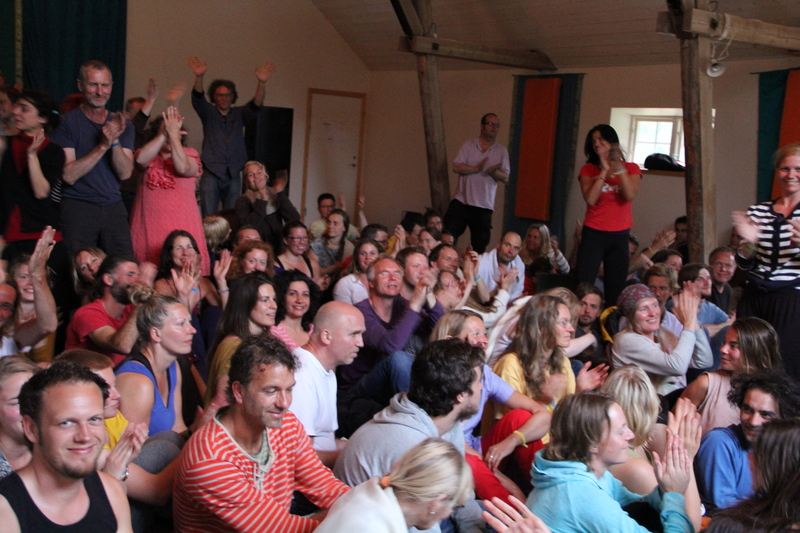 The most recent screening to a audience of approximately eighty volunteers and community members on the day preceding the No Mind Festival 2013 in Angsbacka led to a standing ovation. After the first screening in Angsbacka. This confirmed the value of the collaborative editing process, but has left questions about the idiosyncratic moments that needed to be edited out to deliver a more powerful narrative. In previous screenings of ‘The J Spot’ viewers had valued the meditative and non-directed nature of the editing. For many it was more of a visual meditation than a narrative based documentary. One key feedback received, however, was that In pointing out the challenges of the festival it also contributed to a greater awareness in volunteers of what kind of challenges they would face during the festival. So it could be seen to have prophylactic role. I use the film in teaching. The film’s potential to engage with questions of public anthropology and the media in Sweden and Norway. The key role of the editor in questions of visual representation. The dialogue between the aspiration for a shared anthropology on the theme of the community practice of sharing. The insights gained through directing and producing ‘Fun(d)raising’ and ‘One Week West of Molkom’ has strongly informed the production of ‘The Healer and the Psychiatrist ‘ a documentary film project that draws on research since 1998 in Tonga.